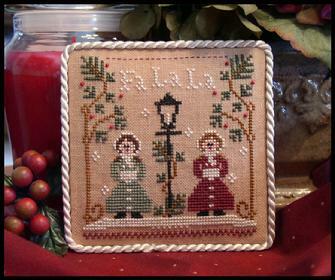 From Little House Needleworks, this will be a series of patterns for 12 months. The first one is stitched on Weeks Dye Works 30 count Cappuccino with DMC and embellished with Mill Hill beads. Sign up today to receive all 12 ornaments--I'm sure you won't want to miss any of these if Little House is one of your favorites! !